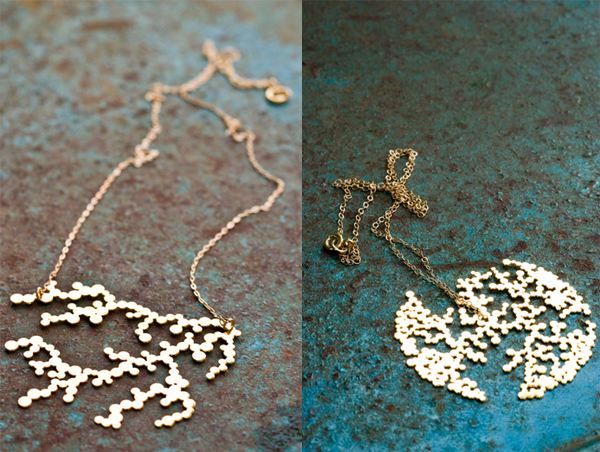 I love delicate yet graphic jewelry… especially in gold. I also especially love the fact that anyone can play with the software that generates these designs and order a one-of-a-kind piece. So sweet! Coral Series, $65. Half Moon Series, $65. Both are also available in stainless steel. these are so intricate and beautiful. thanks for the post!